Rooted in Hull is the urban farm project currently in construction at the derelict dry dock in St Peter’s Street, Hull. The idea is to introduce a community space for the growing of fresh fruit and vegetables and the rearing of livestock to help local people learn more about food and nutrition, farming and distribution. Hobson & Porter helped with the formation of the project and to establish contacts, partnering with national building supplier Jewson to provide materials for the building structures. 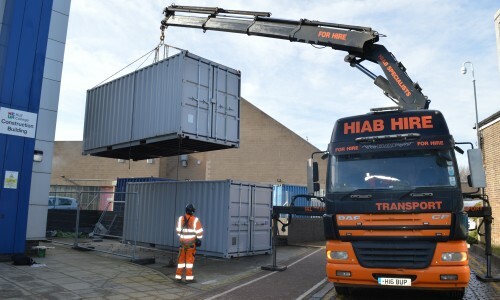 On Friday 9th March, two of these structures – shipping containers completed by Hull College students – were taken to the Rooted site in St Peter’s Street. The containers had been in place at Hull College for just over a year, where students had panelled the interiors with wood, insulated the walls, installed electrics, painted and decorated and hung doors. 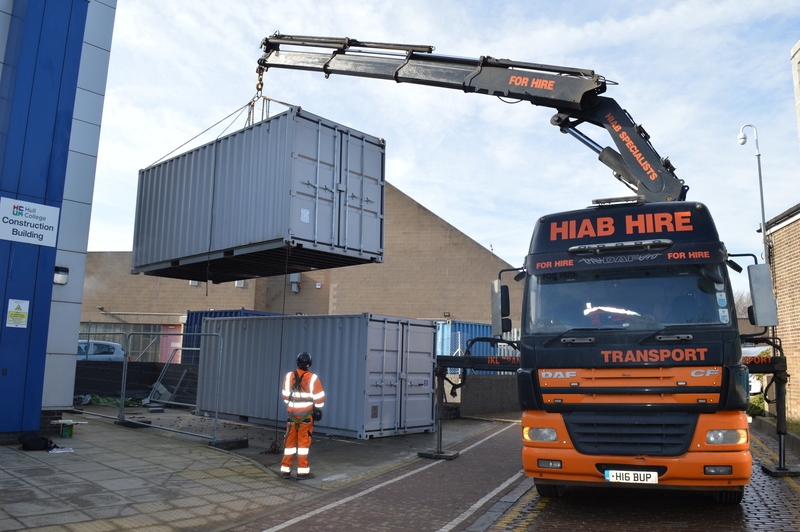 The standard of work the students achieved within the containers has helped them to secure further work to build street furniture for Hull’s newly regenerated city centre. 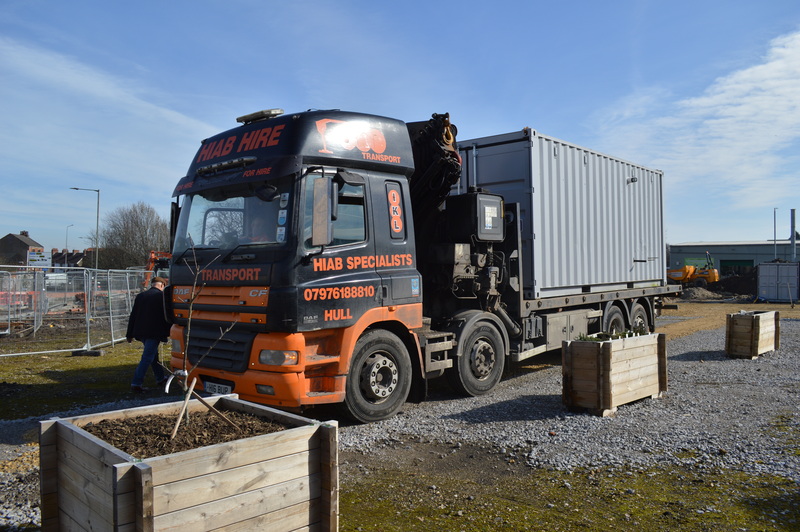 Now in place at Rooted’s base, the containers will be used to help local people escape poverty and grow fruit and vegetables. It marks a successful year on this innovative and inspiring project, which looks forward to many more milestones in the months and years To come.